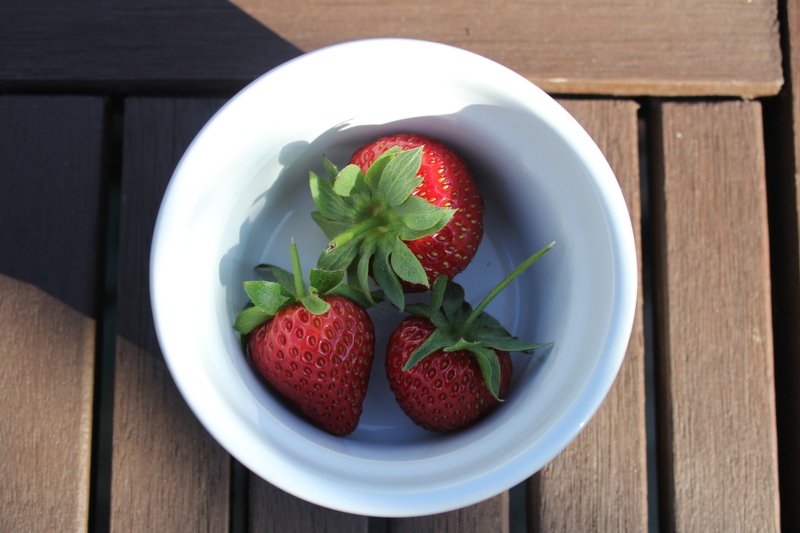 Despite the Great Onion Death of 2015 casting a shadow over us here at Agents of Field HQ, we’ve had at least one nice surprise recently: our first strawberries are coming through! We’ve only had a handful of the beauties as yet but they taste divine! Ade’s growing three heritage varieties this year: Cambridge Favourite (we think these are the ones coming through now), Royal Sovereign and Red Gauntlet. The blueberries and gooseberries in our back garden are also coming along nicely so at least our berry crops haven’t let us down… unlike our alliums!